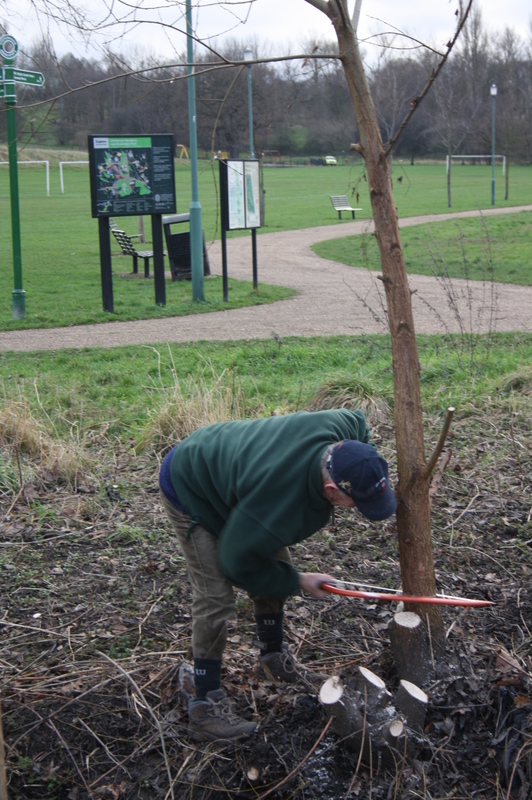 Each year Glendale staff meet with Nick Pond, Lewisham’s Ecological Regeneration Manager and members of the Friend’s group to draw up a new maintenance plan for maintenance of the bank-side vegetation. Certain areas are cut and collected by Glendale approximately every six weeks during the growing season, some areas left for an annual cut in late summer and some areas worked on by volunteer groups. 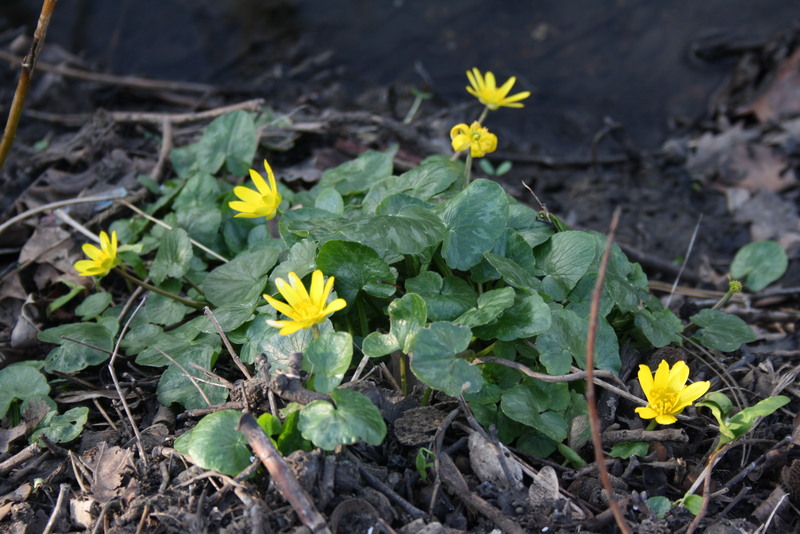 These two photos, taken in March and June 2011, show the growth of vegetation in a short time. 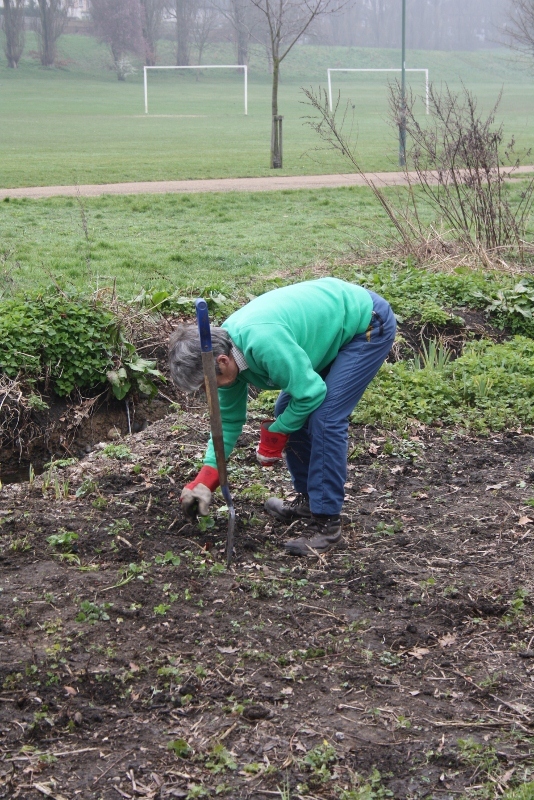 Volunteers working with “Rivers and People” and Nature’s Gym” have worked hard to manage and control the growth in targeted areas on the river banks. In this way it is hoped that less vigorous plants will be encouraged to flourish. 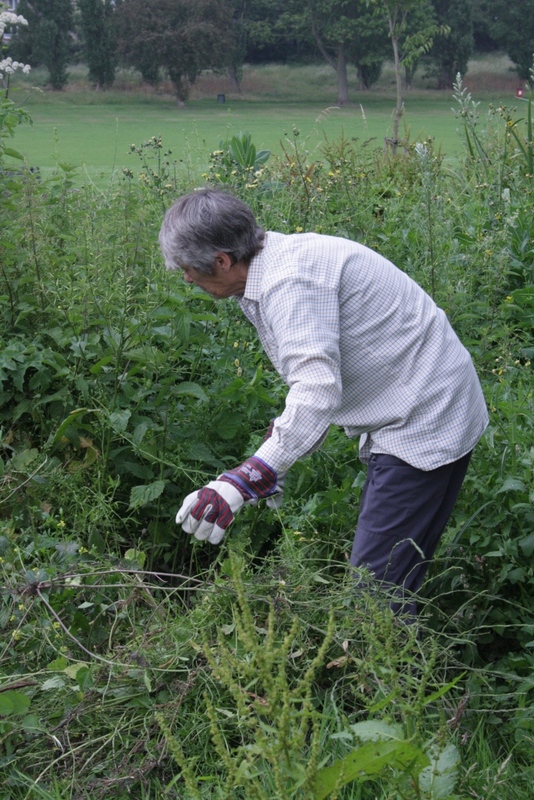 New volunteers are always welcome to join the regular work sessions which take place through the year (check for dates on the web links).The river banks are very nutrient rich as vegetation is washed down stream and deposited in the meadows. 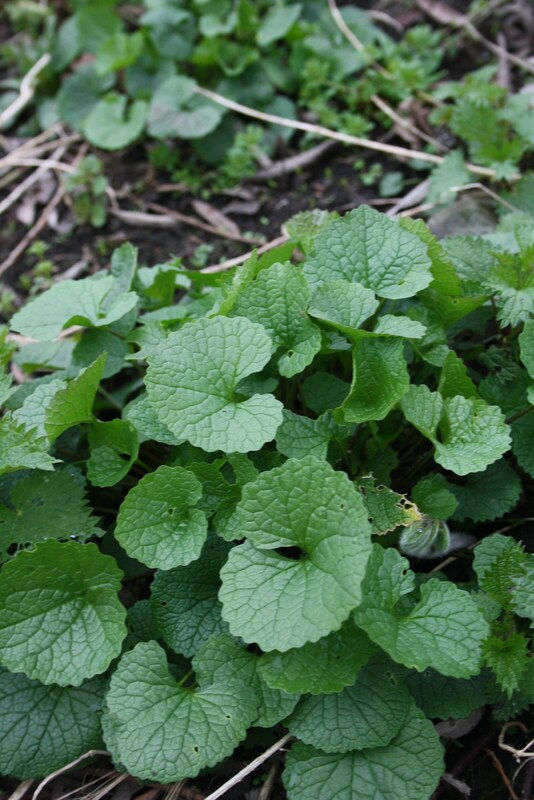 Some plants, such as nettles, thrive in this environment and need to be controlled. Self seeded willows also spring up by the river and there is ongoing work to control their growth too. This makes access to the water’s edge easier and allows more light into the water.